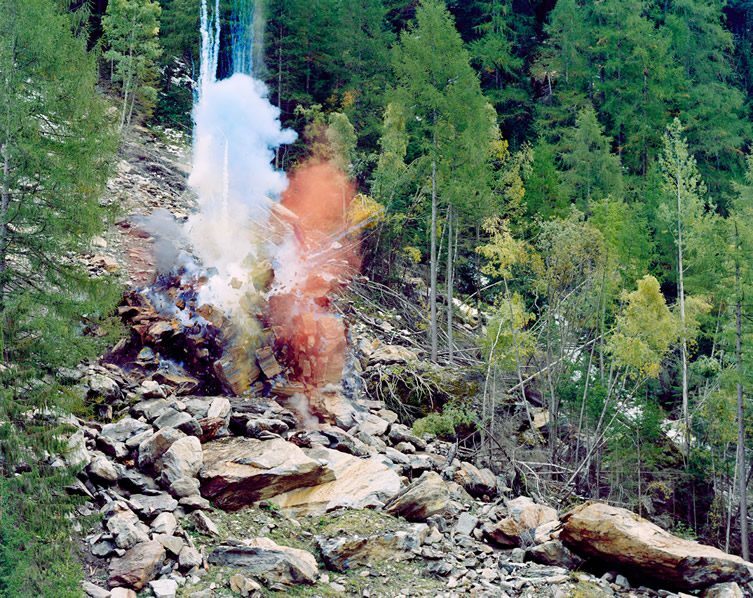 Now I’m no expert on avalanches (or anything else for that matter), but I wouldn’t fancy being stood down-piste of one of Andrea Botto‘s photographic experiments with explosives. 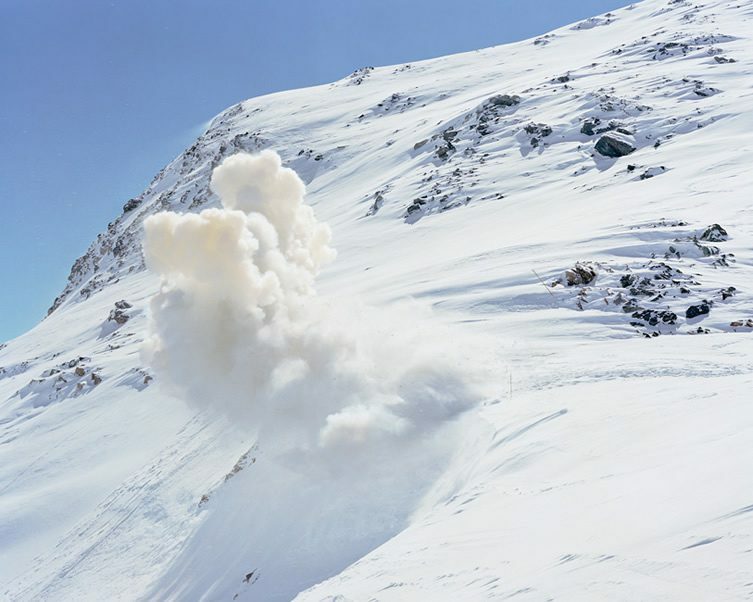 I think we can assume that the area in Gressoney-la-Trinite was cleared of skiers before the charge was detonated for the Italian’s picture — part of a series called KA-BOOM. 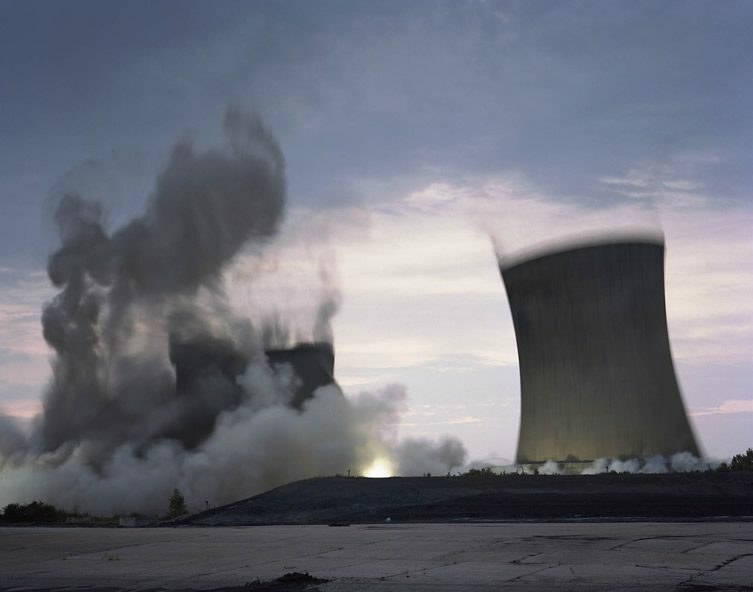 The Explosion of Landscape, of which select images are now showing at the FORMAT International Photography Festival expo in Derby. 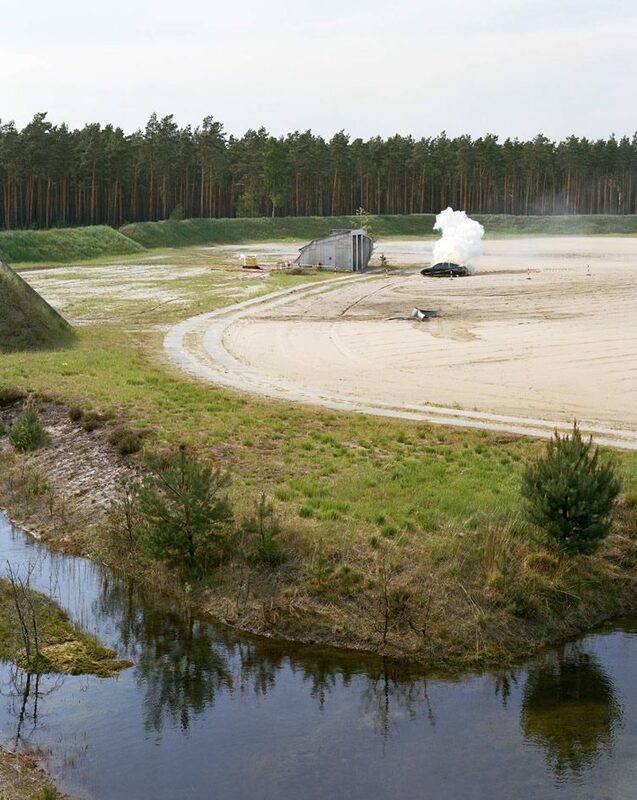 In the series, Botto pursues his fascination with explosives and their many uses, from industrial tool to pyrotechnic device. These carefully-staged scenes use small charges which cause a harmless but significant change in the landscape. During the aftermath — only lasting a few seconds — Botto attempts to capture the moment with a simple 4×5 camera meaning he only has one chance to nail the shot. 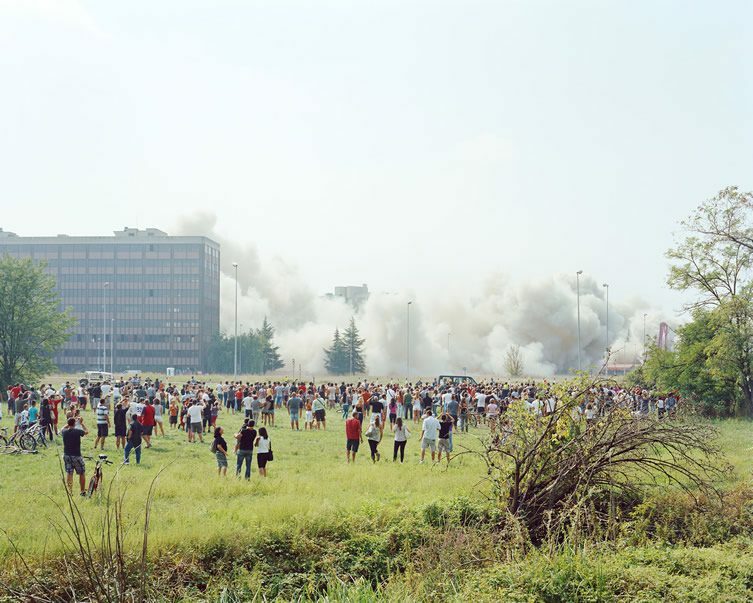 The artist has set up explosions across Europe, as well as being on hand to witness the controlled explosive demolitions on apartment blocks and power stations. 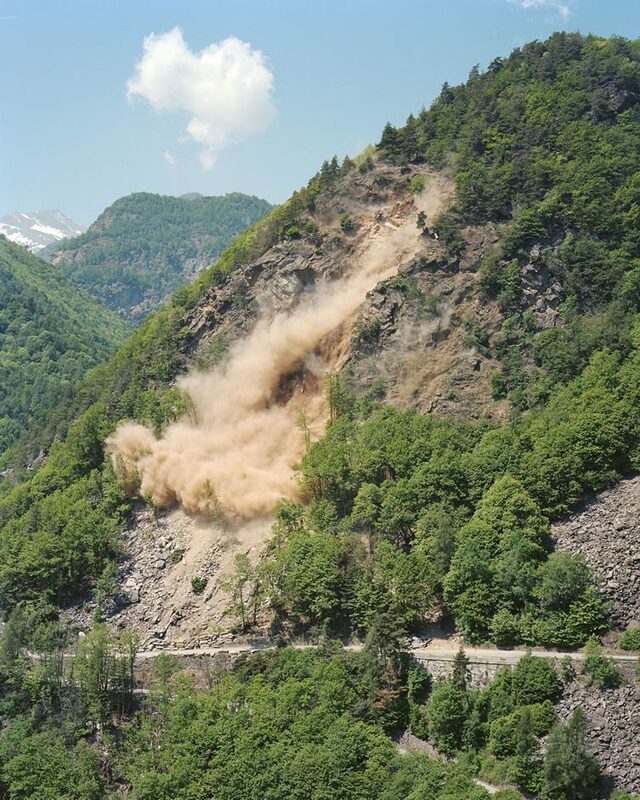 Botto describes the explosions as secondary to the vast landscapes, as though they could merely be incidental faults in the photograph. Catch the series at the festival until 12 April.